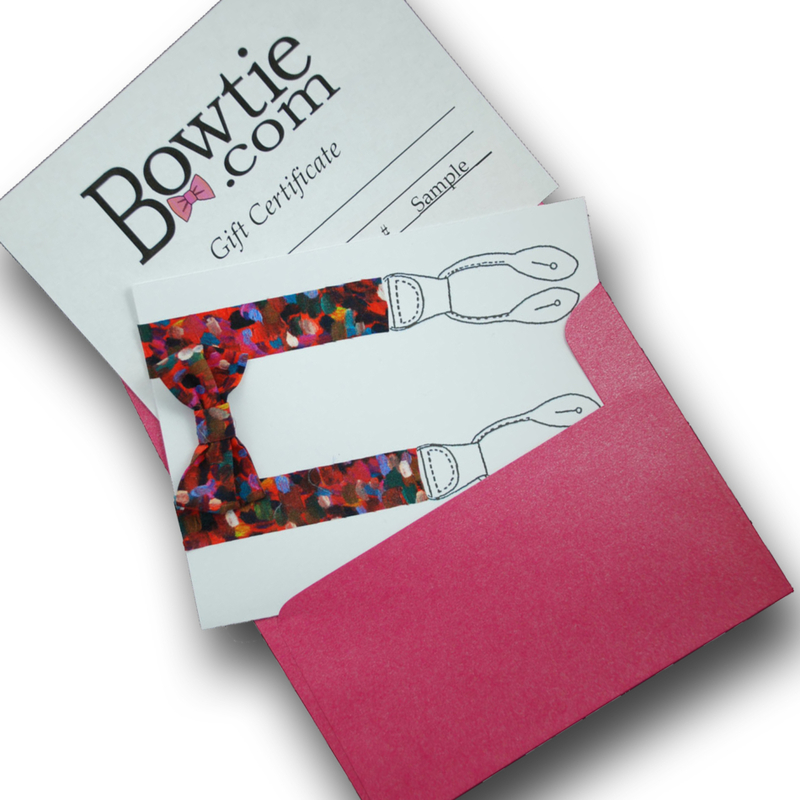 I make to order and also custom design and then make bow ties, neckties and suspenders for men. Most of the accessories I make are from silk or cotton fabric. 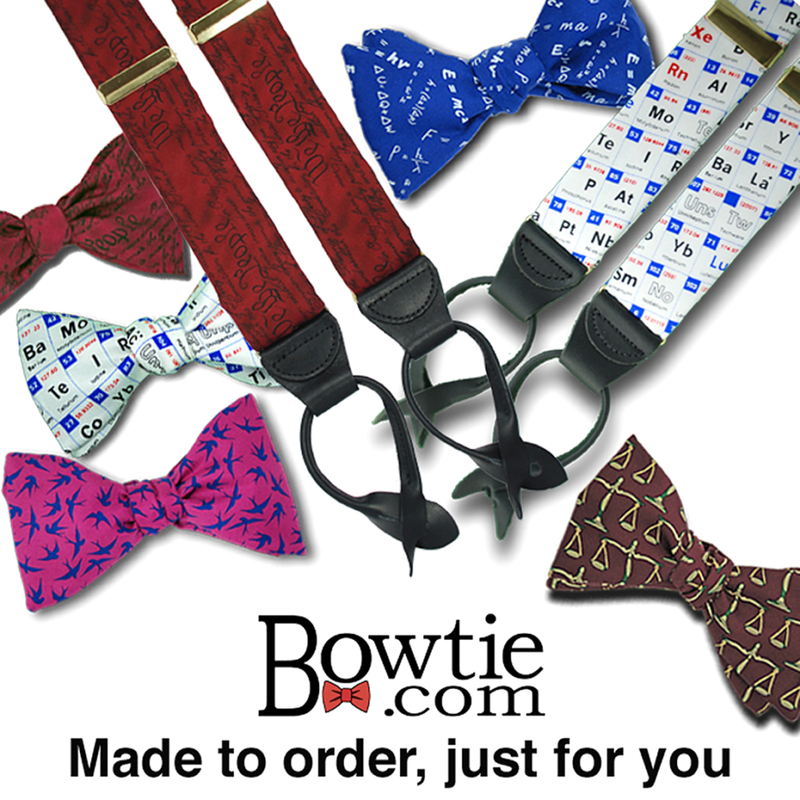 I have an extensive line of Liberty of London fabrics that I make into bow ties and suspenders. In addition to made to order mens neckwear and suspenders, working directly with my clients, I also custom design bow ties and suspenders. 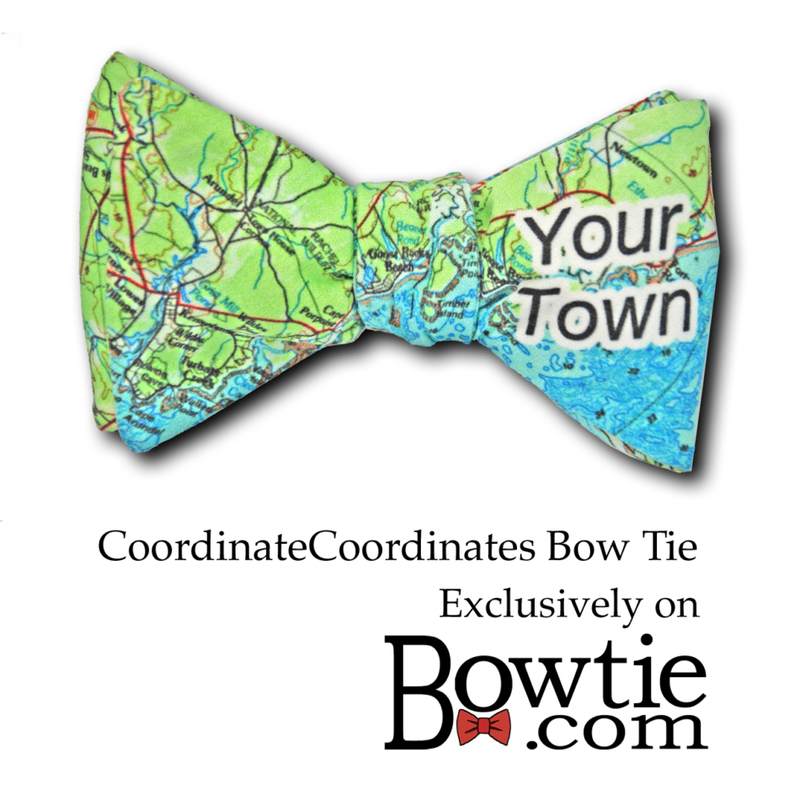 My most popular custom designed works are called CoordinateCoordinates: bow ties, neckties and suspenders featuring maps of specific, client provided addresses. These popular CoordinateCoordinates are great conversation starters because the map location on the accessory is specific to the person wearing it. Every location has a story to go with it.